For those of you celebrating Christmas, I hope you’ve gotten all your shopping done already, and for those who haven’t finished, good luck this weekend! What I’m sure most of you will be doing those is wrapping those gifts, and whether they’re geeky or not, you can’t still add a little touch of geek in the wrapping job. 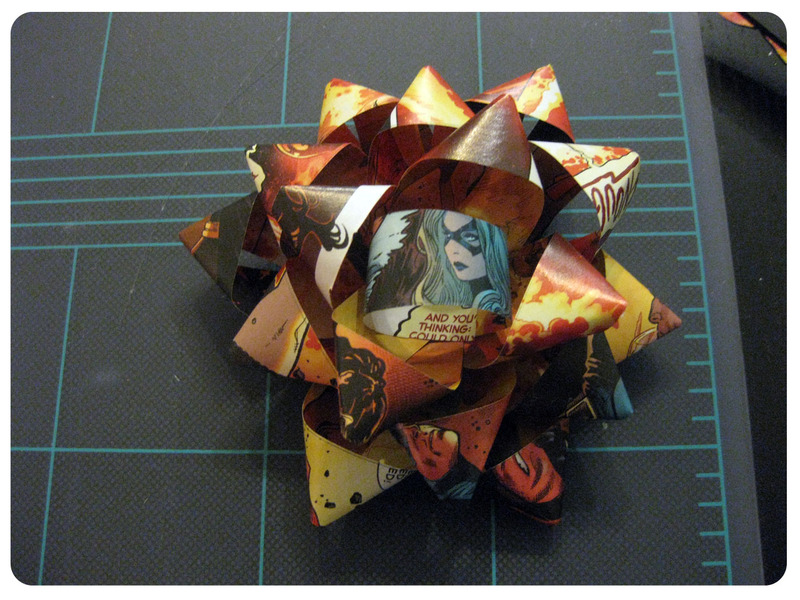 So if you’re feeling crafty, here’s a way to make gift bows a little more special! 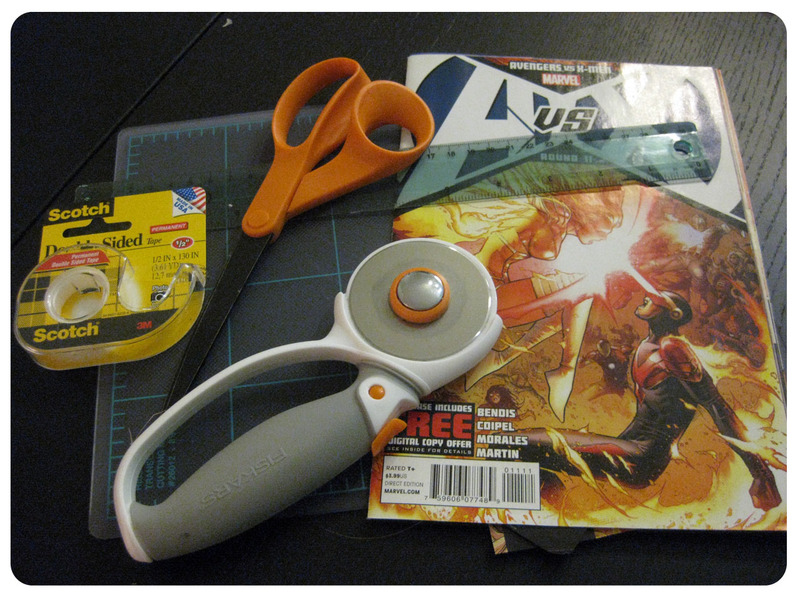 I actually originally spotted this tutorial on Pinterest and immediately knew I could substitute “magazine” for “comic book”. 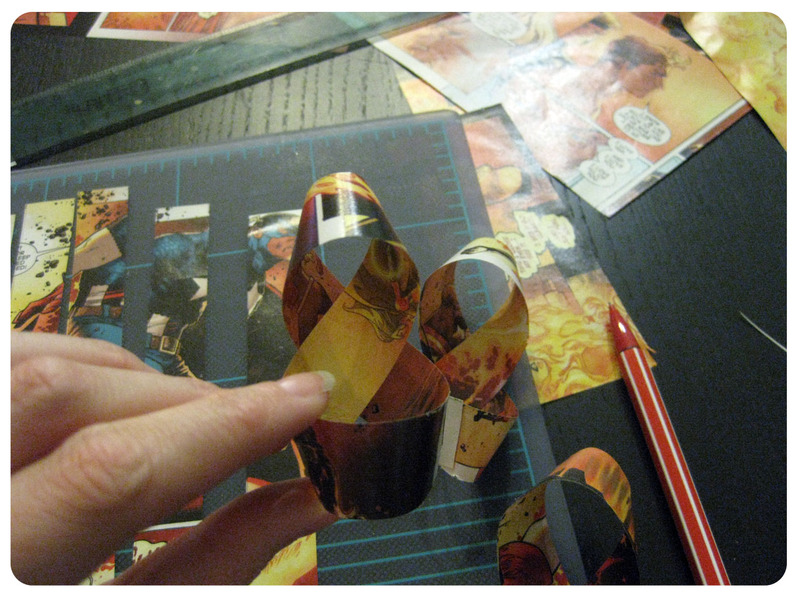 So using the left over pages from the comic I used for the candle DIY, I set out to make my comic book bow. 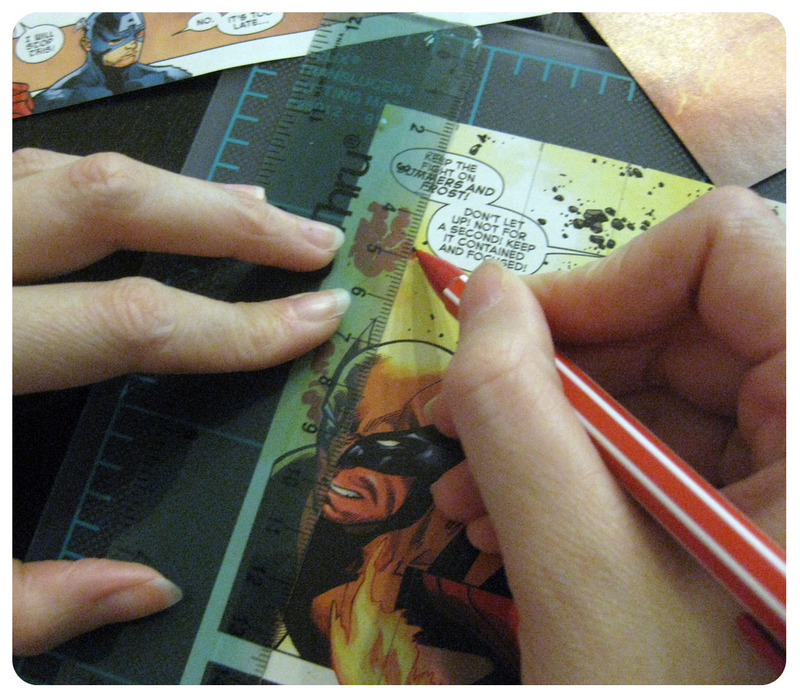 First I measured out my strips (3/4″ wide). 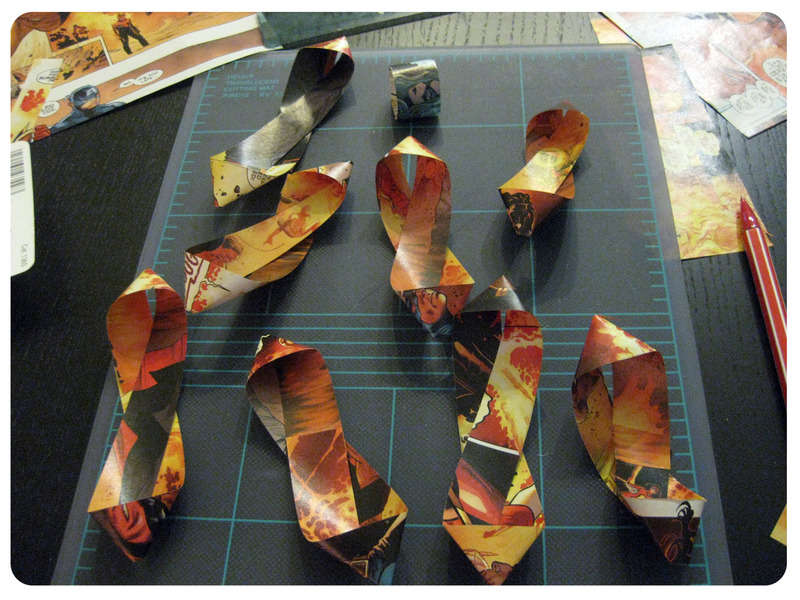 I could fit about 8 on one page and used some left over scrap pages for my last strip. I traced down the page so I knew where to cut my strips evenly. Because comic pages are only a little over 10 inches tall, I adjusted my strips accordingly. I cut three 10 inch strips, three 9 inch strips, two 8 inch strips, and one 3.5 inch strip for the center. Next, I twisted the strips and then used my double sided tape to hold then together. It took me a minute or two to figure out how to twist them, so here’s what it should look like. After my strips were taped together, I pushed down the ends to create a triangular shape that you often see with gift bows. 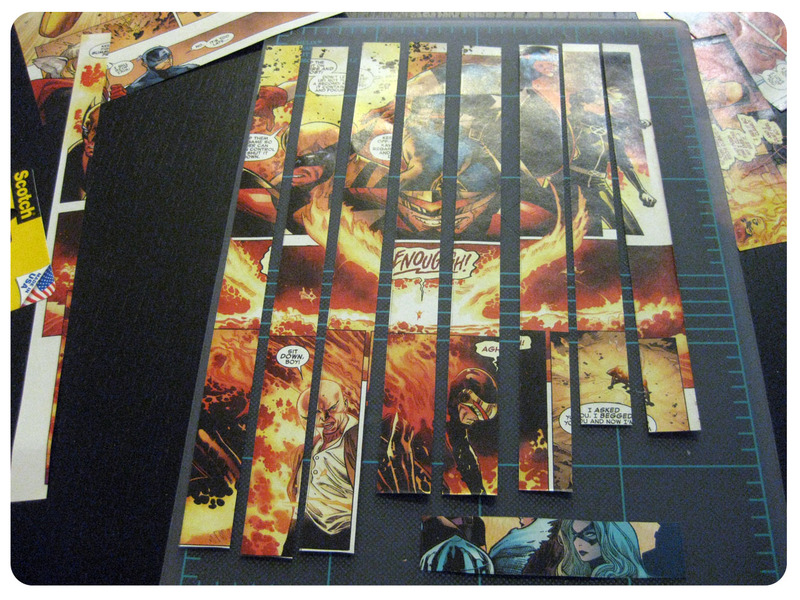 After that, starting with my longer strips, I just started overlapping them and taping them together. After a minute or two, I had my bow. And that’s it! I wrapped my gift in plain brown paper so that the bow would stand out better. 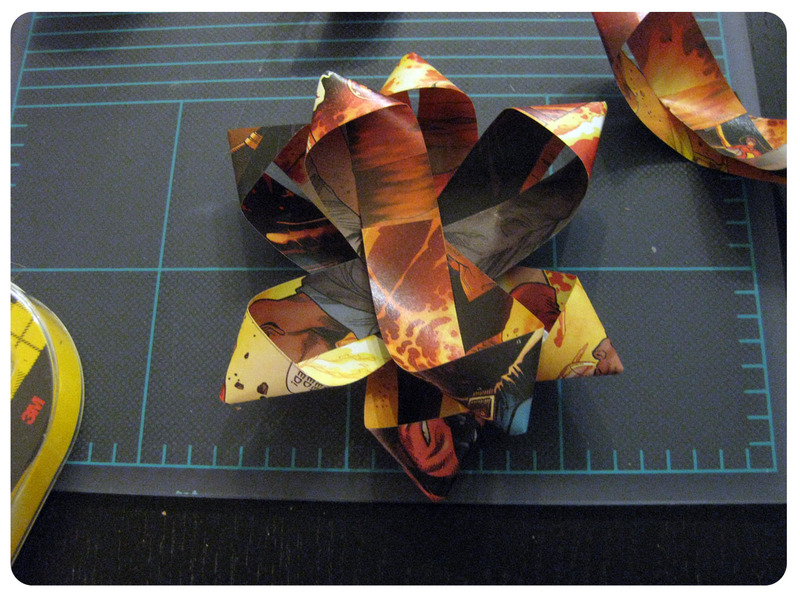 What’s great is it didn’t take very long, and I still have plenty of comic pages I could use to make more bows. You can even make different sized ones by adjusting your strip lengths. 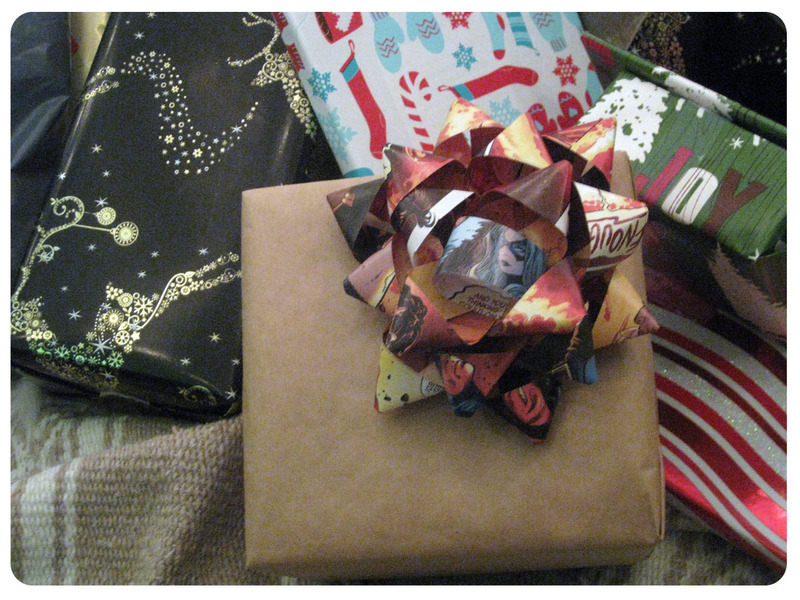 Any of you plan on adding a little geeky something to your wrapped gifts? Or are you letting the professionals take care of it this year? 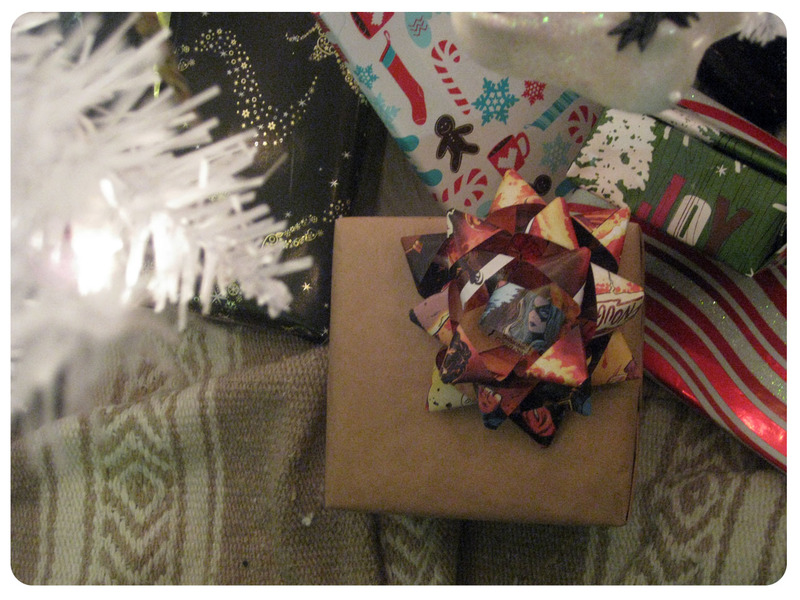 If you do end up with geeky wrapped gifts, we’d love to see them! Leave a comment or post a picture on our Facebook page. I still have a few things left to wrap, so a few more bows may be in my future.